Nathan Fillion’s role in Guardians of the Galaxy Vol 2 revealed? Nathan Fillion and James Gunn go way back after working together on Slither and Gunn’s first superhero movie – Super. So it’s no surprise now to learn that Fillian will appear again in Gunn’s follow up to Guardians of the Galaxy. Sort of. Photos from the Atlanta set reveal not only an Earthbound sequence being shot, but a movie theater with posters for the Simon Williams Film Festival. Fans will recognize the name of Williams as the alter-ego of Marvel’s Wonder Man. The character began as a super-strong and invulnerable henchman for Baron Zemo (who’ll be in Captain America: Civil War played by Daniel Brühl), eventually becoming an actor and stuntman. The spoof movie posters feature Fillion as Simon in titles such as Oh, Rebecca, Häxan 2, and a bio-pic about Tony Stark. No word yet if this is the extent of Fillion’s role in the movie or if it’s setting the stage for his character later on down the line. 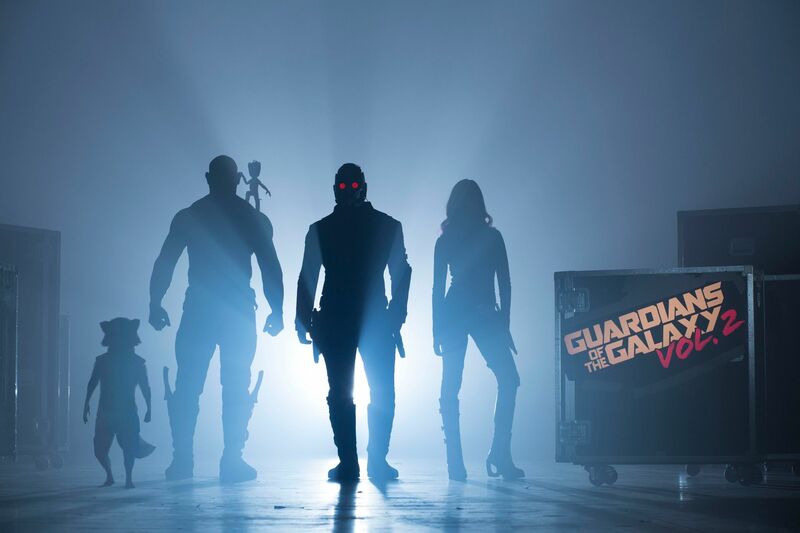 Guardian’s of the Galaxy Vol 2 will be released on May 5 2017. After the smashing success of The Jungle Book and the live action Cinderella surpassing expectations, Disney’s winning game of live action remakes and adaptations will continue moving forward, far into the future. In an announcement yesterday, Disney claimed five new dates to release three new “untitled” fairy tale movies along with two live action movies, also untitled. 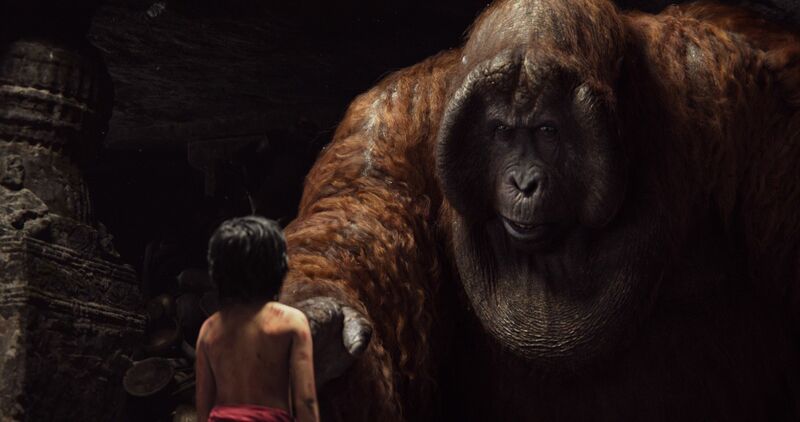 The five movies will most likely match up with some previously announced films in development including Cruella, a prequel to 101 Dalmatians starring Emma Stone, Ava DeVernay’s A Wrinkle In Time adaptation, Tim Burton’s live action Dumbo movie, The Jungle Book 2 and The Jungle Cruise starring The Rock, Maleficent 2 with Angelina Jolie and a live action Tinkerbell movie starring Reese Witherspoon. Empire Magazine is moving on from their superhero coverage to busting some ghosts. The Ghostbusters remake directed by Paul Feig is currently featured on the cover of the upcoming issues, featuring the all-female cast with a familiar ghost taking center stage, Slimer. Along with the covers, a trio of banners were also released showing characters Kristen Wiig, Kate McKinnon and Patty Jones; accompanied by what appears to be some of their catchphrases. Along with Wiig, McKinnon and Jones, the movie will also star Melissa McCarthy, Charles Dance, Michael Kenneth Williams, and Chris Hemsworth. The film opens in theaters July 15th. THR is reporting that Sony is in the process of closing deals with director Rob Letterman and writer Darren Lemke to return for another round of thrills and chills in a sequel to Goosbumps. No word just yet on whether Jack Black will return as author R.L. Stine, though as of now, reps are meeting with the studio and the plan will be for Black to return. No plot information on the sequel has been revealed. Goosebumps was a solid performer for the studio, generating $80 million domestically and another $77 million internationally on a budget of $58 million. No release date has been set. From a report in THR, Lionsgate is moving forward with its adaptation of the video game property Borderlands, hiring Section 6 writer Aaron Berg to pen the script. The project, based on Gearbox Software’s popular first-person shooter game that launched in 2009, sees a story set on a planet called Pandora, a frontier land that’s been abandoned by a mega-corporation. Arad Productions, run by Avi Arad and his son Ari Arad, is producing the film, which some describe as Mad Max in space. Sources say it’s expected to be an edgy, R-rated take on the material. There is still no word on a release date. Keanu – Recently dumped by his girlfriend, slacker Rell (Jordan Peele) finds some happiness when a cute kitten winds up on his doorstep. After a heartless thief steals the cat, Rell recruits his cousin Clarence (Keegan-Michael Key) to help him retrieve it. They soon learn that a thug named Cheddar (Method Man) has the animal, and he’ll only give it back if the two men agree to work for him. Armed with guns and a gangster attitude, it doesn’t take long for the hapless duo to land in big trouble. Hey guys love all the shows on collider, can’t go a day without watching movie talk. My question is about the upcoming Seth Rogan and Evan Goldberg film Sausage Party. If the film is as good as the trailer is making it out to be, does it have a shot at winning an Oscar for best animated feature film or would it not even be recognized due to the fact that it is an R rated film and most animated films tend to be more child friendly? Thanks and keep up the good work. Been a long time viewer. My question is about Louis CK’s supposed film I’m a Cop. I remember you all discussing it when it was first announced but, there hasn’t been any news about it since. Have you heard anything. Is it still coming out? Thanks.